manila fashion observer: The British Are Coming! Well, technically, it's London coming! I love you na! 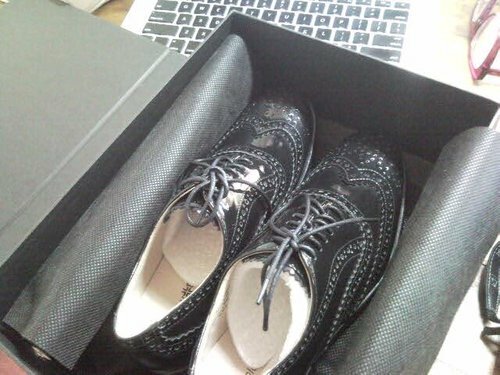 I can practically feel my feet slipping into these handsome brogues! I love the shape! So classic and looks so cool! We're going to do a bit of a jiggy when we meet! Or maybe, I'll sing in the rain too?! Thanks Karrots + Anthology Shoes! And btw, the French have arrived! 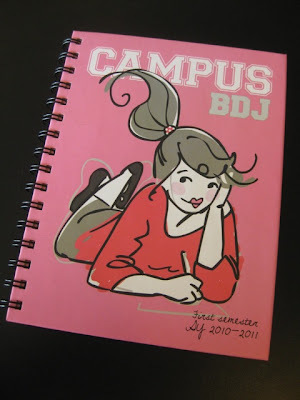 Thanks Em and Darlyn of Belle de Jour for the Campus BDJ you sent to my sister Nicole! Right on time for school! She loves it! Girlfriends, thanks! I feel so lucky to get all these funtabulous and very useful gifts! Thanks! Thanks! Kiss! Kiss! Welcome welcome and thank you too!